This chrome emblem is used for both the nose and deck of your AC Cobra. Comes with backing pins for proper installation. Package includes one emblem. Give your car an authentic look with this VIN plate for your AC Cobra. Pre-drilled in the corners for installation and ready to be stamped with your own chassis and engine numbers. Aluminum air vent mesh adds some style and keeps the bugs out. Oval shaped and easy installation with silicone, rivets or screws. (Not included). Sold as a pair. Dimensions: 7" x 3" x 1/2"
Front (oval) grommets used to cover body holes. Includes 4 grommets (4 needed to complete the front). ID 3/4 inch @ 45 Deg angle. Set. Bumper Grommets Rear round grommets used to cover body holes. Includes 4 grommets. ID 3/4 inch. Set. Powder coated black bumper jack pads. Fitted in competition cars for quick lifting on pit stops. OEM type and very racy looking. Each car uses two in rear and two in front. 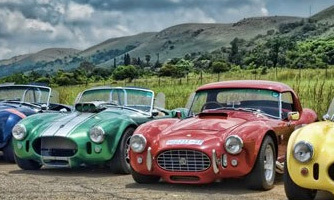 Used in the 289 FIA Cobra and 427 Cobra SC. Set of four. Polished Stainless Steel bumper jack pads. Fitted in competition cars for quick lifting on pit stops. OEM type and very racy looking. Each car uses two in rear and two in front. 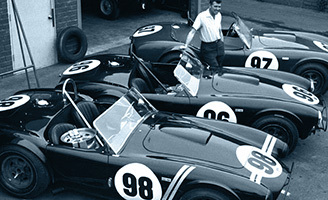 Used in the 289 FIA Cobra and 427 Cobra SC. Set of four. Chrome on brass bumper overriders with open back design. 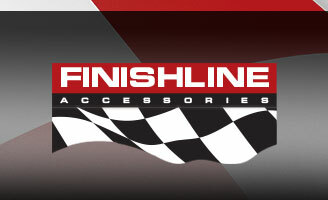 Used on the front and rear of your car. OEM Type for the 289 Cobra and 427 Cobra. To complete an entire car, you will need to order four. Priced each. These over riders are threaded in the back. stainless steel sleeves. L 11" ID 5/8" OD 3/4". Set of 4. Nudge bar is made of chrome steel to OEM specs and has lateral ears. Fits originals or reproductions Street Shelby Cobra. Bumper overriders are not included. Chrome steel rear nudge bar made to OEM specs. Fits original & reproduction street Shelby 289 & 427 Cobra. Give your car an authentic look with this VIN plate for your Shelby American Cobra. Used on 289's and 427's. Ready to be stamped with your own chassis and engine numbers. Dimensions: 3 1/2" X 2 1/8"